The Hyundai mini SUV is available with a single, very well stuffed level of equipment and two turbocharged 1.0 and 1.6-liter petrol engines. The three-cylinder 1.0 T-GDi releases 120 hp of power and reaches a torque of 175 Nm. It is associated with a six-speed manual gearbox and announces combined fuel consumption of 5.4 to 5.2 l / 100km and CO2 emissions of 117 g and 125 g / km, depending on the size of the wheels and tires. The four-cylinder 1.6 T-GDi, 177 hp, and 265 Nm feature the DCT 7-speed automatic transmission and dual-clutch and all-wheel drive. Combined fuel consumption is 6.7 l / 100km and CO2 emissions are 153g / km. Accelerates from 0-100 km / h in 7.7 seconds. By the middle of next year, the Hyundai Kona range will be completed with a 1.6-liter turbodiesel, and with a 100% electric engine. The diesel engine will already have homologation Euro 6C and is completely new. With a capacity of 1.6 liters, it was developed from the current 1.6 and will have power declines of 115 hp and 136 hp. Integral traction transmits up to 50% of the torque to the rear wheels when this is required, allowing Hyundai Kona to safely navigate on ice or snowy roads, and to venture off-road with mud and poor tread, as we could verify in the first tests, held in New York. This varied range of options is made possible by the new K2 SUV K2 platform, which has been specially developed from the Elantra platform (a C-segment model) to accommodate various types of powertrains and two- four-wheel drive. Aesthetically, the Hyundai Kona is a well-received product, presenting itself in front of the cascading grid that serves as a signature to the South Korean brand, flanked by LED daytime running lights positioned above the LED lights as well. Also noteworthy for the original bumper, which integrates the fog lights and extends along the sides. The side profile highlights the muscular lines typical of an SUV, with roof bars and 16, 17 or 18-inch wheels. At the rear, the LED taillights bulge. Like its more direct rivals, Hyundai Kona is also committed to personalization, with ten exterior colors for the body, which can be combined with two different tonalities for the roof (white and black), resulting in a total of 28 possible combinations. Inside, Hyundai Kona does not hide a certain premium ambition, with plastics granules and finishes above what is usual in the segment. There are also various customization possibilities, with two colors to be combined with the seat and multifunction steering wheel (multifunction and leather lining), fan and multimedia tablet trim and seat belts in the same exterior color of the bodywork. The housing is at the best level of the category, accommodating five adults without problems and their luggage, thanks to a wheelbase of 2.6 meters and a width of 1.8 meters. The legroom is 1054 mm at the front and 880 mm at the rear. The suitcase has a capacity of 361 liters, which can be increased up to 1143 liters, with the full folding of the rear seats. An absolute debut in Hyundai models, it is the colorful and customizable head-up display, which projects useful information on the glass in front of the driver, such as speed, road signs, and fuel consumption, among others. The information and entertainment system has built-in navigation and is compatible with Apple CarPlay and Android Auto, ensuring full connectivity with smartphones and other external devices and allowing you to make calls, dictate messages or import favorite songs. It is associated with a 7-inch touchscreen. The system includes a seven-year subscription to Live Services, which provides up-to-date real-time information on weather, traffic, radars (where permitted by law), and online point-of-interest surveys. The optional battery charger for smartphones is also available as an option. The state-of-the-art audio system was developed by Krell and consists of an amplifier and eight speakers including two tweeters, four woofer speakers, a center speaker, and subwoofer. The optional heated steering wheel, the smart key with start button and the electrical adjustable seats with lumbar support, are other amenities to consider. At the security level, Hyundai Kona meets the highest standards, including autonomous front-end collision with pedestrian detection, vehicle presence detection at blind spot overtaking, rear traffic alert, lane maintenance assistant, driver fatigue alert, curve lighting and automatic switching of mid and high beam lights. The Hyundai Kona 1.0 TGI is available for 23,649 dollars and the 1.6 TGI 4WD DCT 7 for 34,331 dollars. 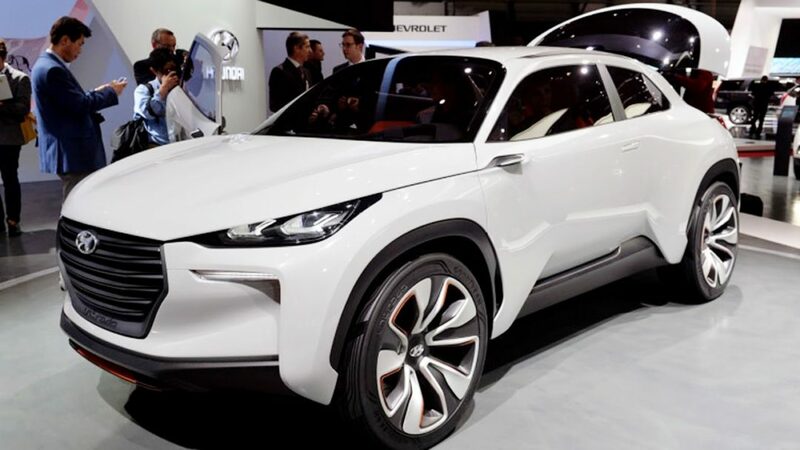 At the launch, Hyundai will offer 2347 dollars discount to support the registration, which means that TGI 1.0 will be available for 21,301 dollars. There is also a campaign that runs until December 31 for the so-called Pioneers Kona, selling the 1.0 for 19,834 dollars with brand financing, which corresponds to a support of 4988 dollars commercial support of the brand. Hyundai Kona can already be ordered and the first deliveries to customers will take place at the end of November. The official release is on November 1st.